Educate young people about transmission, risk and impact of HIV/AIDS both in the UK and in South Africa. Engender positive and fruitful interactions between young people from different cultures. To achieve greater global awareness and social responsibility in young people locally. To enjoy joint social activities such as concerts, sport and getting to know each other. 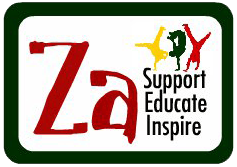 While in the UK the Zakhele group work in up to 15 primary, secondary and special schools, delivering workshops, dramas, music, dance and lots of singing! They also visit churches, Brownie groups, business, community members and perform concerts. Since 2009, Zakhele have interacted with just short of 16,000 children and 4,000 members of the general public. Find out about Zakhele’s latest UK visit here. “Most valuable to schools are the intercultural relationships with the Zakhele group which break down stereotypes”. “Zakhele enriched the experience for the pupils for a long time after the visit”. “Zakhele help young people in North Somerset become global citizens of the 21st century”. Zakhele have now visited the UK in 2009, 2011, 2013 and 2015. Their next visit will be in March 2019 when they will visit 13 secondary and primary schools in North Somerset. 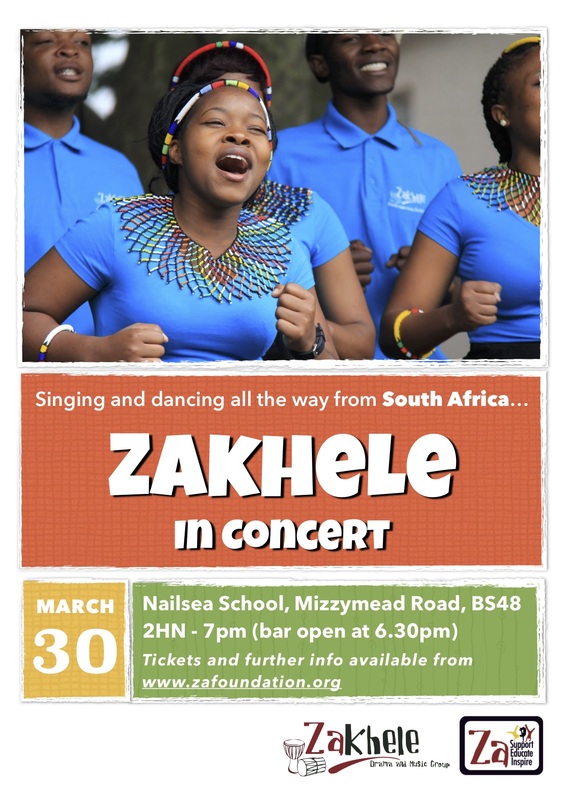 They will also be giving a very special public concert on March 30th at Nailsea School. You can buy tickets for this one-off event here.